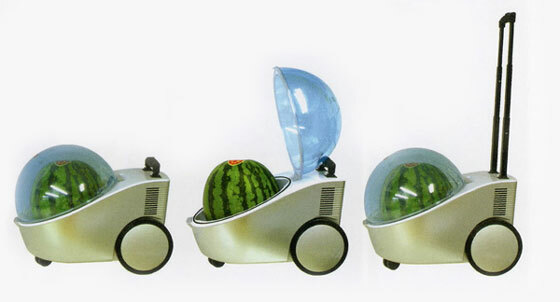 Marugoto Tamachan is a portable cooling and warming apparatus, especially designed to carry a watermelon. Way to keep your watermelon cool during a summer outdoor recreation. If you can afford the US$200+ price tag off course.